True barber craftsmanship, our services always come with the promise of quality, dedication, and passion. We are an experienced barbershop with dedicated barbers who has knowledge of the barber craftsmanship that goes back over 10 years. We can offer a first class guarantee for all of our treatments, along with a nice range of products for both hair and beard. "Smallest but roughest since 2013"
Are you ready to take the step in to a world of barbering, book now! -"Smallest but roughest", is the true words to describe our barbershop. Don't expect to visit a big amazing studio with a lot of space, no, we are probably Sweden's (maybe the world) smallest barbershop. But hey, who needs extra space anyway, as long as we can provide professional barbering and everything else you need and expect when visiting a full service barbershop. We are very proud to offer our 100% Sweden made products. Our product line was released in 2014 and growing every year. They are produced with the Sweden's Northlands inspiration in mind together with the inspiration from the city lights. 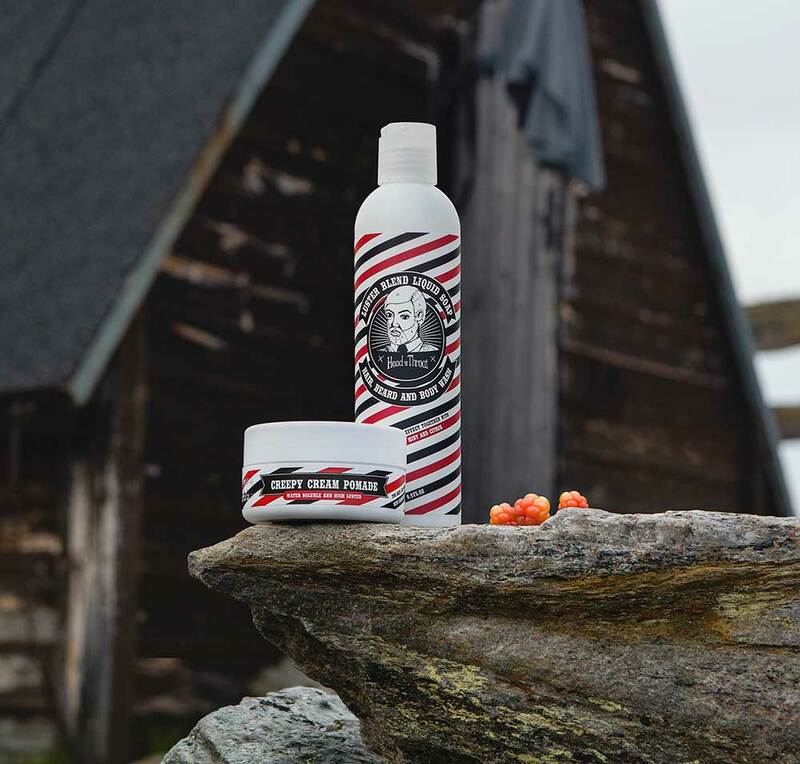 You can find our products at our barbershop and you can also order them easy online in our Online Shop. And you can also find them in different stores around in the good old Sweden. Our amazing barbers is the heart of Head to Throat. They are breathing the barber craftsmanship every day, every week, year after year. And with open minds and with a never ending hunger to expand their knowledge in the barber profession we think that you all going to enjoy the atmosphere they sending out when you coming by our barbershop. Thomas started Head to Throat Barber Shop in 2013 after been working several years as a professional barber on different barber shops. With more than 10 years working as a barber together with his broad expertise and a genuine respect for the barber craftsmanship he knows that Head to Throat is the right choice for all the men that cares about good haircuts, beard cuts and close straight-razor wet shaves. Started working as a barber back in 2014. After finishing school as a hairdresser she went to become a barber apprentice at a well know barbershop in Stockholm where she working up her skills in trimming beards and cutting classic gentlemen's hairstyles. After that she went on working on different barbershops around in Stockholm before she happy joining us here at Head to Throat in April.